Join Melissa Blount, Evanston-bas­­­ed artist and activist and creator of the Black Lives Matter Witness Quilt, to produce a new collaborative quilt. 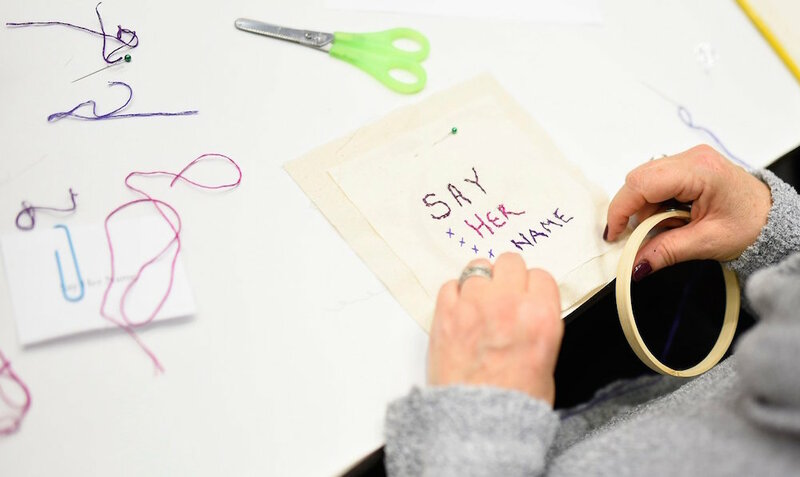 The community is invited to two evenings of craft, activism and dialogue, remembering the names of women and girls who lost their lives to gun violence in Chicago. The sewing circles will take place at 1100 Florence Ave. in Evanston. No sewing skills needed, just an RSVP as there are only 30 spaces each day. All ages welcome. Photograph taken at the Block Museum's Witness Quilt Event on February 2, 2018.